The text covers the history of American Indians with a focus on the drastic changes that occurred following European contact. 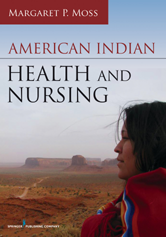 The book addresses the roots of American Indian nursing, including coverage of indigenous knowledge and traditional approaches to health and healing. Precontact Indigenous North America Theodore C. Van Alst, Jr.